New details emerge on how missile destroyed Malaysia Airlines plane. A formal investigation into last year’s deadly crash of a Malaysia Airlines plane revealed that officials believe it was shot down by a warhead mounted on a Russian-made BUK surface-to-air missile. The theory that Russian fighters were to blame for the July 2014 crash, which killed all 298 people on board, has been the leading theory for months, but today's announcement comes from an independent investigation led by Dutch officials. The report did not say who is to blame for firing the missile and a separate Dutch-led criminal investigation is still ongoing. But the report provides many details about how the plane crashed and the chain of events leading up to it. The Dutch Safety Board determined that the plane was hit on the left side of the cockpit, and the forward section of the airplane was hit by "hundreds of high-energy objects coming from the warhead," according to its news release. The three people in the cockpit at the time of impact were killed immediately, the investigation found. The impact caused the plane to break up in the air and spread over about 20 square miles on the ground. While the Dutch Safety Board does not have evidence that passengers and crew “performed conscious actions” as the plane broke, “it cannot be ruled out that some occupants remained conscious for some time during the one to one and a half minutes for which the crash lasted,” investigators wrote in the report. Investigators were able to rule out "other potential causes, such as an explosion inside the aeroplane or an air-to-air missile." This animation released by the Dutch Safety Board details how a Buk missile brought MH-17 down over pro-Russian Eastern Ukraine, killing all 298 onboard. How Did Fighting in Ukraine Affect the Flight Path? There was fighting in the area on the ground near where the Kuala Lumpur-bound flight out of Amsterdam crashed. The fighting involved pro-Russia separatist groups that were in control of the area at the time. 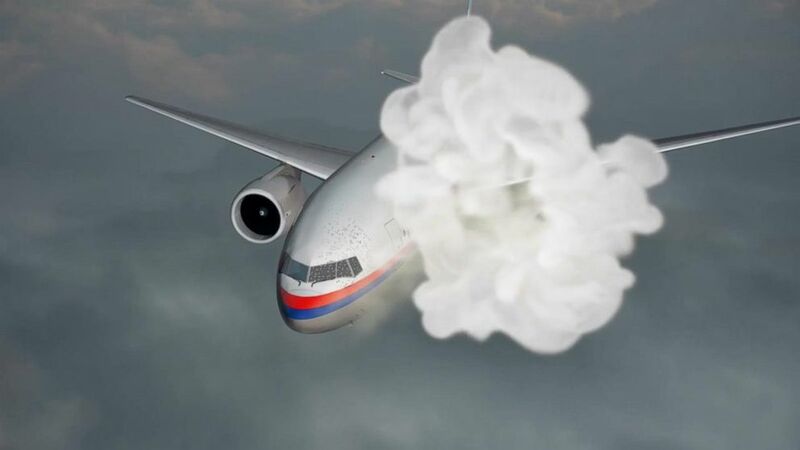 As a result, lower levels of Ukrainian airspace were restricted but not the area where MH17 was flying at the time that it was struck, Dutch Safety Board chairman Tjibbe Joustra said today. Even though MH17 was hit that day, it was far from the only plane in the air: There were three other planes in the air close to MH17 when it was hit, and there were 160 flights that operated above eastern Ukraine that day. (Alexander KHUDOTEPLY/AFP/Getty Images) A local resident stands among the wreckage at the site of the crash of a Malaysia Airlines plane carrying 298 people from Amsterdam to Kuala Lumpur in Grabove, in rebel-held east Ukraine, on July 19, 2014. By looking at the way in which the plane broke apart -- after the missile hit the front left side of the plane -- officials were able to determine that the BUK came from somewhere within a 120-square-mile area in eastern Ukraine, Joustra said. 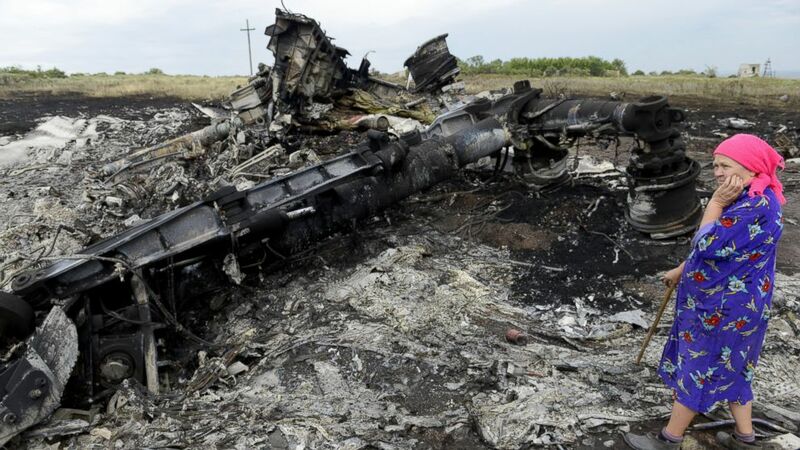 Investigators also found that other planes had been shot down in eastern Ukraine in the weeks before the MH17 crash. 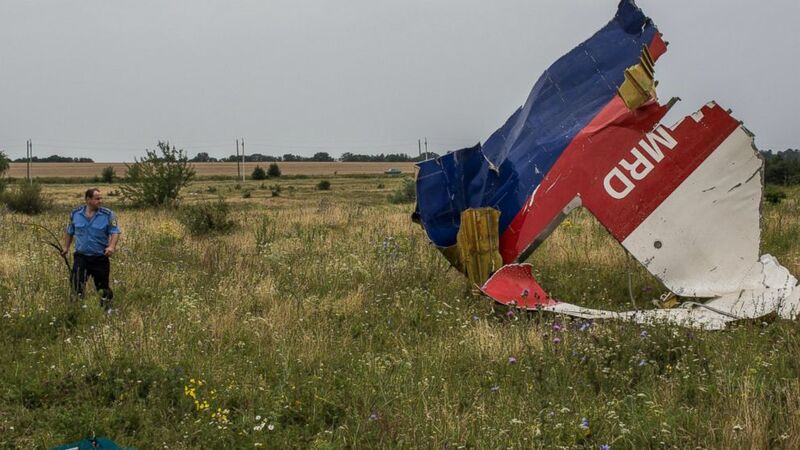 "Moreover, it is clear that Ukraine already had sufficient reason to close the airspace over the eastern part of Ukraine as a precaution before 17 July 2014," the investigation's news release states. "None of the parties involved recognised the risk posed to overflying civil aircraft by the armed conflict in the eastern part of Ukraine." (Michael Kooren/Reuters) A military policeman stands guard in the cockpit of the MH17 airplane after the presentation of the final report into the 2014 crash, in the Netherlands, Oct. 13, 2015. How Do They Know It Was a Russian BUK Missile? The investigators cited pieces of the missile they said they found in the wreckage and in the bodies of the victims as some of the evidence used to determine the kind of missile that was used. The wreckage pattern, paint chips found on parts of the missile that match other parts found by investigators, and the sound peak recorded on the cockpit's voice-data recorder support the theory that it was a Russian-made BUK missile. Joustra said that for its part, Russia has stated it’s impossible to determine the missile used with certainty. Russian officials have claimed the missile was fired from Ukrainian-controlled territory. Russian authorities have said the missile was fired from the village of Zaroshenske, which Russia says was under Ukrainian government control at the time. Seven countries -- the Netherlands, United States, United Kingdom, Ukraine, Malaysia, Austrialia and the Russian Federation -- participated in the independent investigation. 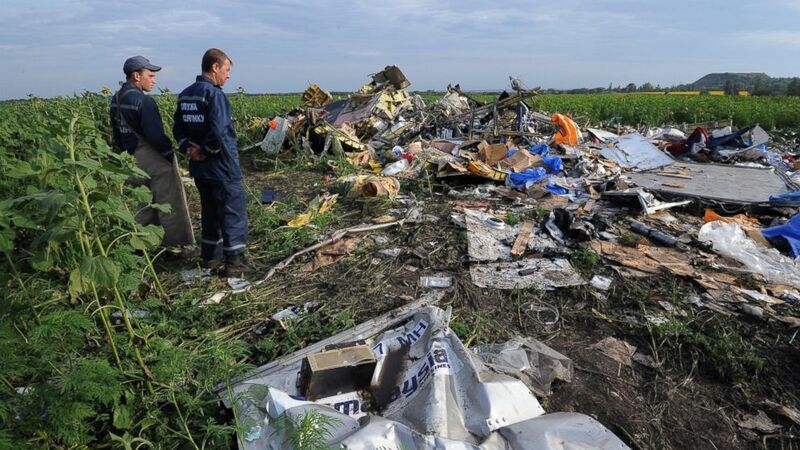 (DOMINIQUE FAGET/AFP/Getty Images) Employees of the Ukrainian State Emergency Service look at the wreckage of Malaysia Airlines flight MH17 two days after it crashed in a sunflower field near the village of Rassipnoe, in rebel-held east Ukraine, on July 19, 2014. The White House released a statement from National Security Council spokesman Ned Price calling the report "an important milestone in the effort to hold accountable those responsible," though he did not give specifics on what that punishment should be. "We maintain our support for the work being conducted by the countries of the Joint Investigation Team, and reiterate that the United States will fully support all efforts to bring to justice those responsible," Price said in the statement. The board issued recommendations based on the findings, including the need for further transparency by flight operators on their chosen routes and the need for countries in armed conflict to reassess the safety of their airspace. Malaysian Prime Minister Najim Razak released a statement calling for action based on the findings. "While this has long been speculated about, the fact that these chain of events have now been proven conclusively by the Dutch Safety Board mean that we must move forward towards ensuring that those responsible are held accountable for this murderous act," Razak said in a statement. (Brendan Hoffman/Getty Images ) A Ukrainian police officer searches for human remains from Malaysia Airlines Flight 17 on July 18, 2014 in Grabovka, Ukraine. How Did the Victims' Families React? 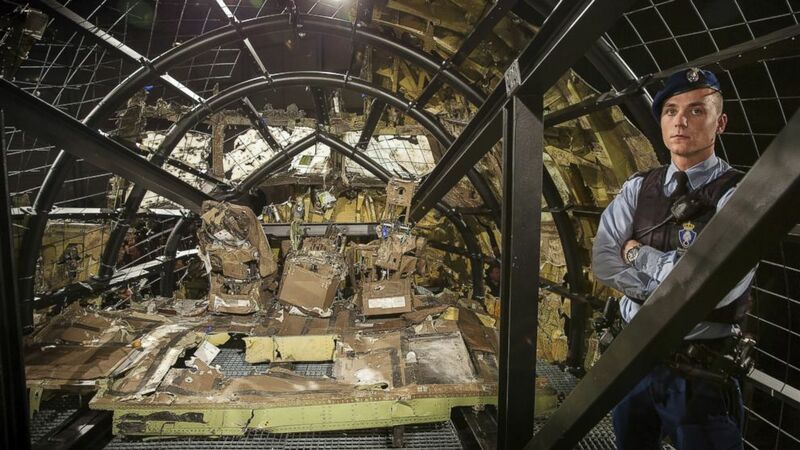 The relatives of the victims on board MH17 were briefed by investigators before the report was released to the public and before Joustra made his statements. One relative told The Associated Press that the families were "quiet as a mouse" when they were told about the missile that downed the plane. "I’m just going to have to go away and think, 'Yes, Liam died instantly' as did 297 other people because if you think otherwise it will hurt forever," passenger Liam Sweeney's relative Barry Sweeney told the BBC.